Marubeni Corporation, the fifth largest Japanese sogo shosha trading in a vast array of products and materials, has joined forces with LO3 Energy, a United States-based firm that claims to develop distributed ledger technology (DLT) powered energy solutions. The collaboration will launch a pilot project aimed at creating a commercially available renewable energy marketplace for Japan, according to a press release on February 20, 2019. 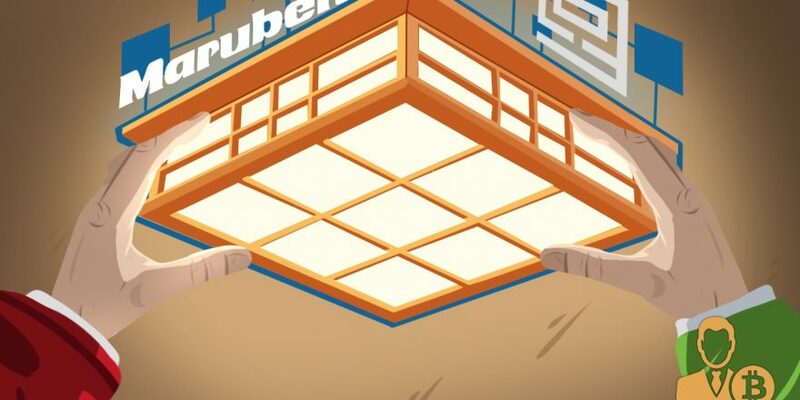 In a bid to transform its energy business and create a full-scale commercially operational power network, Marubeni has collaborated with LO3 blockchain platform to commence a pilot project in Japan. As stated in a press release, LO3 will see to the development of a virtual energy marketplace that would use DLT to connect all Marubeni’s electricity production facilities and test simulated energy transactions. If all goes as planned, the pilot project will be expanded to service the entire nation shortly. According to the team, the LO3 Energy platform was used to create the Brooklyn Microgrid, a public energy network that makes it possible for residents to generate, store, and trade sustainable clean energy. Specifically, the LO3 transactive energy platform makes use of standard electricity meters merged with blockchain-enabled TAGe computer devices. The TAGe devices are responsible for measuring useful energy data, as well as the quality of electricity produced and it also communicates with other devices on the network to facilitate frictionless energy transactions. Explaining further, the team has made it clear that the actual electrons in the energy system will flow through the standard grid transmission network, while the blockchain network would manage the transactions in the system. Accordingly, the team says consumers will be able to choose their preferred energy sources and how much they are willing to pay for the renewable electricity provided, through a dedicated mobile app. Will Blockchain Technology Revolutionize the Energy Sector? Though nascent, blockchain technology, the lifeblood of bitcoin and a vast majority of altcoins, is slowly gaining traction within numerous sectors of the global economy, including fintech and even healthcare. Chief Operating Officer of the Marubeni Power Business Division, Yoshiaki Yokota is not oblivious to the numerous capabilities of blockchain technology, and he hopes the innovation will enable the firm to improve efficiencies in energy usage in Japan. In January 2019, BTCManager informed that the U.S. Department of Energy had released $4.8 million to aid research and development activities in the blockchain technology sector and three other areas.